This is not a paid post- I have received no compensation for allowing this guest post to be published on Almost Frugal. This guest post was written by Jocelyn Gibbons, from JustEyewear.com. JustEyewear.com has also included a coupon, for Almost Frugal readers! At some point, nearly every person needs vision correction. 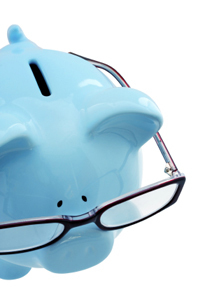 If you’re like most glasses wearers, you probably think you paid too much for your last pair. We’re here to tell you this necessity doesn’t have to be expensive. 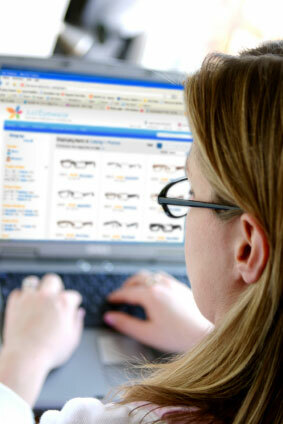 Read on to discover the combined wisdom and frugality of buying prescription eyeglasses online. If you look for a pair of name brand prescription eyeglasses at a traditional retail store, you’re looking to spend between $178 and $390 per pair, sometimes more-a hefty price tag. There are many reasons why prices have traditionally been so high, and whatever the price, people had to pay it, because seeing is a necessity and there weren’t any alternatives. But, like with other things, the internet is changing that. What about quality? Aren’t these cheap and poorly made? Surely I’ve been paying for something. Yes and no. The quality of the frames and lenses is generally the same. When you buy online, they do come from China and other countries in Asia, but that’s also the case when you go to a traditional retail store. Almost all lens blanks (the raw lenses used by labs to create your custom prescription) are made in China, Taiwan and other countries in Asia, as are most frames. There are a few frame companies that manufacture in Italy, France, Germany and a handful of other countries, but these are expensive designer frames that cost hundreds of dollars before even adding lenses. The real difference between buying online and buying at a traditional store comes down to two things: overhead and extra service. Traditional retail shops have significant overhead to maintain, including retail space, sales staff, inventory, etc. Online shops can do a much greater volume from a single location and don’t have to rent expensive retail space at the mall or hire sales staff to sell only a couple pairs per day. The other part of the equation is extra service: when you go to a traditional store, there is someone there to help you pick out a frame and advise you on lens materials choices and add-ons. Online, it’s up to the consumer to educate themselves about these things. It’s kind of like going to Best Buy and having them pick out all of the components of your home theater system versus going online and figuring out what you need to buy yourself. If you’re willing to learn a little bit, you can save a lot of money. The glasses quality is the same as what you’d get at a traditional retail store. Sales price way cheaper (we’re talking hundreds of dollars saved). You have the convenience and selection of buying online-being able to shop at your pace and browse thousands of styles. You don’t get to try the glasses on before you buy them. This con is often compensated for by online glasses retailers by providing generous return policies, much like policies of online clothing and shoe retailers – you can return for any reason, including that you just don’t like them. When you buy online, there is no salesperson physically there with you to help you pick out a frame, select glasses options, etc. Single vision lens wearers are the best candidates for buying online, although progressives and bifocals are also available. For single vision glasses, you really are getting the same exact glasses that you would get at the traditional retail store. The only thing missing are the slight adjustments made after your glasses are made to fit more snuggly, which are generally not needed and even if they are you can often do yourself. Progressive and bifocals, however, require a seg height. The seg height is the distance from the bottom of the lens to either the pupil or slightly below, a measurement that can only be taken when you’re wearing the frame you’ve picked out. When you buy online, this figure must be estimated instead of taken exactly, and while it usually works it’s not ideal. A similar measurement is important for people with strong prescriptions. Ok, I’m ready. What do I need to get started? Your Frame Size-Look inside an existing frame, usually on the temple, for a series of numbers, such as 50-18-140. These are the lens width, bridge size, and temple length, respectively. Then, you can search for a frame according to style, with the measurements to know how the glasses will fit. These measurements are in millimeters, so they only need to be close, not exact. If you don’t have an old pair of glasses, don’t fret; pick the frames you like and if they don’t fit, you can always return or exchange them. Your Prescription-Have your glasses prescription ready (this is different than your contact prescription). Simply ask your eye doctor for it at your next visit, or have your doctor fax it to you. Though your prescription may seem complicated, it’s not, and most online glasses retailers will provide you with all the info you need to decipher your prescription. Your Pupillary Distance (PD)-PD is the distance between your pupils, in millimeters. The best way to get this is to ask your eye doctor for this measurement when you get your prescription. They may request you pay a small fee. If needs be, you can also measure your PD yourself. With that, you know all the basics of buying glasses online. Now you have one more tool in your frugality tool belt to save you hundreds on an expense you often can’t avoid! We’re offering a special coupon just for Almost Frugal readers. Glassy Eyes: A blog dedicated to buying glasses online, it often has coupons for many leading online retailers. Consumerist: Don’t Spend $1,000 on $8 Glasses: Article at consumerist on saving money by buying online and other options. As with most other healthcare related issues, buying glasses is one of those times that I really appreciate living in France. I paid â‚¬28 out of pocket last year for two nice pairs of glasses and I’m about to buy another two pairs in a month or two. I have personally never bought glasses online, but I know people who have (although not through justeyewear.com) and they were very happy with their purchase. And just a reminder: this is not a paid post- I have received no compensation for allowing this guest post to be published on Almost Frugal. .-= Tina @ http://www.commoncentshome.blogspot.com´s last blog ..Homemade Laundry Detergent =-.